Physics Composition Book is designed to log experiments. 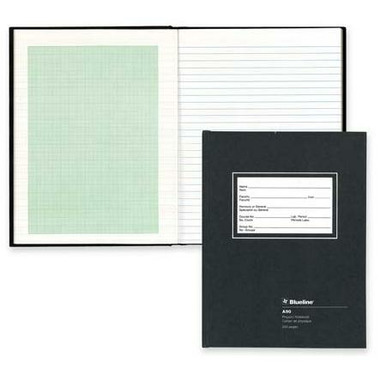 Features green ruled, quad graph paper on left to make graphs, lined ruled pages on the right for notes. Includes 200 pages with perfect binding and hard cover. 10-1/2"x8" physics composition book contains 30 percent post-consumer material.